Many people wonder, “What is Medicare Part C?” Medicare is a program designed to help older and disabled individuals get healthcare for little or no cost. As a government-sponsored healthcare plan, Medicare Part C combines Original Medicare with private health insurance. Since its creation in 1965, Medicare has been updated and changed to meet the needs of Americans who required more affordable healthcare options. Medicare Part C (or Medicare Advantage, or MA), works just like Original Medicare. But these plans are provided by private health insurance companies. Individuals are eligible for Medicare Part C as soon as they eligible for Original Medicare. This guide will give you some helpful information on the eligibility and features of Medicare Part C plans. Original Medicare is provided by the government and includes Part A and Part B. Medicare Part A is coverage for hospitalization after a catastrophic event. This part of Medicare also covers skilled nursing facility and home healthcare, if you meet certain qualifications. Medicare Part B provides coverage for outpatient care and doctor’s services. Part B also helps with preventive care, so that you can maintain your health and keep illnesses from progressing. Medicare Part C is called Medicare Advantage. MA plans may offer better benefits than Original Medicare. But they must always provide the same coverage or better as Original Medicare. These plans also have to cover necessary services, like urgent care, preventive care and hospitalization. Many believe that Medicare Advantage plans are more affordable and cost-effective. The government sponsors them, yet offered by private companies. This means that you receive more benefits for the price that you pay. Medicare Part D covers prescription drugs. Medicare Part D is typically included with Medicare Advantage plans. But it may not be included with Part A and Part B. To be eligible for Medicare Part C, you must also qualify for Original Medicare. In general, you must be over the age of 65 or qualify for Social Security, based on disability. In addition, you cannot have end-stage renal disease (ESRD). If you decide to join Part C, you are still in the Medicare program. As such, you will receive Part A and Part B coverage. You also have the rights and protections of others enrolled in Original Medicare. And, you will typically receive Medicare Part D.
What types of Medicare Part C Plans are available? HMO plans are the most popular plans. They allow you to visit in-network doctors, medical care providers and hospitals. You choose a preferred provider and must get a referral to see other in-network doctors or facilities. If you choose to go outside of the network, you must pay out of pocket, in most cases. Prescription drugs are typically covered in HMO plans, as well. The plan’s best feature is that you choose a primary care doctor. They will be able to treat you at little cost and know your plan for treatment. The worst part is that you cannot see any out-of-network doctors or facilities. If you need emergency care, you may not be able to go to certain facilities, if they are not in your plan. In a PPO, you pay less if you choose in-network doctors and facilities. But you can still see doctors and go to out-of-network facilities. However, you will likely pay a higher copay to do so. Each plan has different flexibility toward what doctors and facilities you can choose. Prescription drug coverage is also included with most PPOs. And, you do not need to pick a primary care provider to use a PPO. While some PPO plans have more benefits, they may cost more than what you would pay for basic coverage. These plans are created by private health insurance companies and vary in cost and benefits. In most cases, you will get your healthcare from any provider that accepts your PFFS plan. Prescription drug coverage is not always included in PFFS plans. However, you won’t have to pick a primary care doctor or get a referral to see a specialist. Doctors and services at medical facilities must be eligible for treatment under your plan. This means that doctors must agree to treat you before you receive any care. These plans are different than other Medicare Advantage plans. As they are specifically for those with specific diseases or disabilities, not everyone is eligible. All SNPs must provide the same coverage as Medicare. These plans often require that you have a primary care physician. You also need a referral to see a specialist. In addition, SNPs must provide prescription drug coverage. There are a few rules to note if you are thinking of joining Medicare Part C. If you qualify, you’ll be able to join as soon as you are eligible. However, if you want to switch to a new Medicare Advantage Plan, you must do so during an enrollment period. Your old plan will be made inactive once you switch, as well. There are also enrollment periods for switching back to Original Medicare if you currently already have Medicare Advantage. In addition, you can only make changes to your plan coverage during specific times of the year. These are displayed on Medicare.gov. But you can also contact your private health insurance company if you currently have Medicare Part C.
You switch from plans by contacting your private health insurer. But if you want to switch to Original Medicare, you must contact (800) MEDICARE (633-4227). You may not be eligible to switch right away to Original Medicare, depending on the time of year. Comparing Medicare Part C plans provides you with a better view of all of your options. You can pick and choose the right benefits and costs for your budget and healthcare needs. There are a variety of plans to pick from. Every private health insurance company should provide you with a list of benefits if they are offering Medicare Advantage Plans. Hopefully, you can now answer the question, “What is Medicare Part C?” But just in case, we have lots of other articles on the topic. You should always think carefully about the costs of switching Medicare Advantage Plans or changing to Original Medicare. In some cases, it may mean the loss of benefits, such as prescription drug coverage. MedicarePartC.com provides extensive information on Medicare and Medicare Part C . So, you can make the best decision for your healthcare needs. As always, you should be careful when picking a Medicare Part C plan. And, you should always speak to a representative for the private health insurance company about specific benefits and costs before selecting a plan. 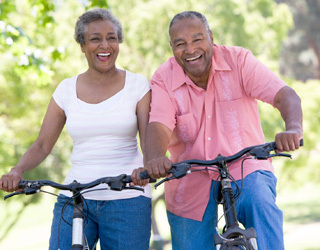 You may be interested in enrolling in a Medicare Advantage (Part C) Plan. If so, explore our website, HealthNetwork.com, for a variety of plan options.